Fall time is pumpkin time! Like most, I like to make sure that my pumpkins last as long as possible, which is often hard to do. No matter what, pumpkins will deteriorate, especially once they are carved. But it is possible to preserve them for a short amount of time. Don’t want a rotten pumpkin on your porch this year? Pumpkins are prone to two things: mold and rot. In warmer climates, pumpkins tend to lose moisture and have a lot more rot and mold issues. The same is true for cooler climates, except rot and mold happens at a slower rate. So what contributes to pumpkin rot and mold? 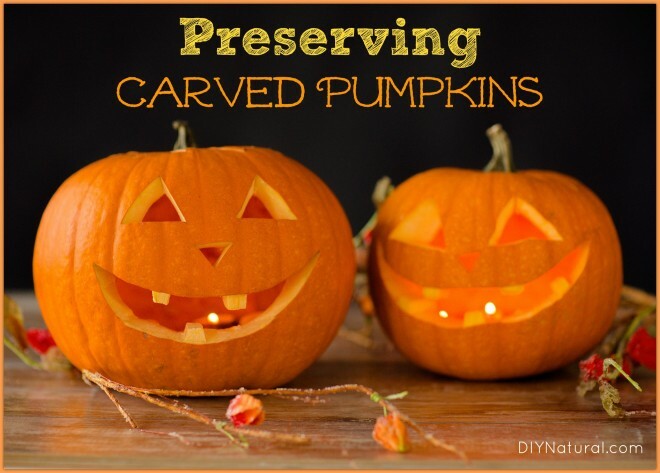 Oxidation happens as soon as air enters the interior of the pumpkin while you are carving it. Fungi, bacteria, and mold grow from the inside out and start to grow once you break the skin of the pumpkin. Pumpkins will dehydrate over time, thus turning the pumpkin to mush. Pick a good pumpkin! Avoid any weak spots, broken handles, or blemished pumpkins. Grow your own or buy locally. They are often cut right off the vine shortly before you purchase them, thus greatly extending their life. Soak the pumpkin in cold water overnight to preserve moisture. Don’t use candles or lights in your jack o’ lantern as it contributes to the heat. Paint your pumpkin instead of carving! There are lots of glow in the dark paints available. Bring your pumpkin inside for the night. Keep your pumpkin out of direct sunlight. I’ve seen many other suggested “pumpkin washes” that encourage the use of bleach. Bleach can often be dangerous to children, pets, and outdoor animals. Plus, bleach really isn’t good for your skin. So here is a natural solution to the pumpkin wash dilemma. It uses natural ingredients that are safe for your whole family and for the environment. By following these tips and using this wash, your pumpkin will last longer than ever! 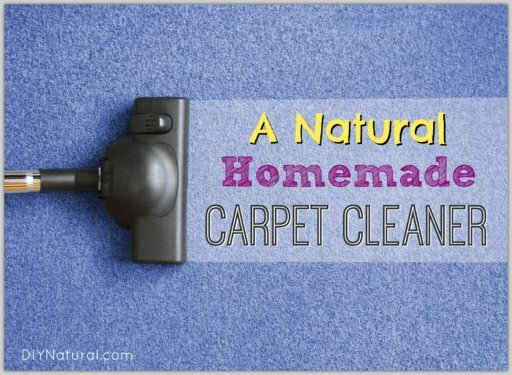 This recipe includes borax and peppermint essential oil, which are two wonderful ingredients that will help prevent mold and rot. 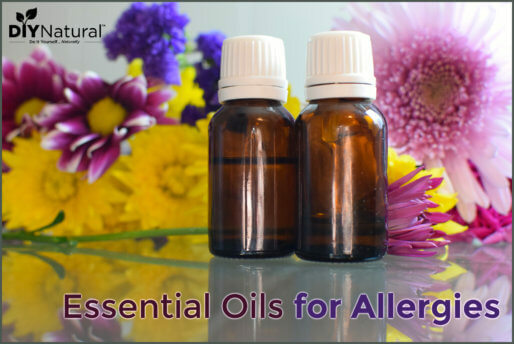 Peppermint essential oil also works wonders on mold and fungus and it leaves a pleasant smell. Keep it out of the reach of pets as it can be harmful to cats. In a large 5 gallon bucket combine 4 gallons of water (regular tap water is fine) and 2 cups of borax. Mix well. Stir in 40 drops of peppermint essential oil. Allow pumpkin to soak for 3-4 hours (overnight is best). Dry pumpkin with towels and enjoy! Discard any leftover wash and keep out of the reach of children. Repeat in a few days if desired. Combine borax and water in an 8 ounce spray bottle. Cap bottle and shake to mix. Add 40 drops of peppermint essential oil. Spray pumpkin each evening, inside and out. While pumpkins can’t last forever, let’s try to make them last as long as possible! By following these steps, you are sure to enjoy your pumpkins for quite some time. Wondering if another EO would work or specifically peppermint. I have tea tree that needs to be used up (broken cap)…. Hi Rachel, Tea Tree EO should work just fine. It is also pretty effective against mold and fungus. Awesome! I never though there was much you could do about your pumpkin rotting, so I am excited to try this out. We’ve actually already carved a couple for fun, so now I’ll be able to see how long we can make them last, haha. Thanks!